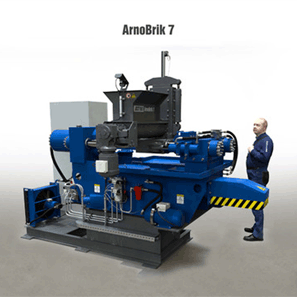 RAIL BREAKERS for rails, single or multiple rail processing. Optional pipe cutting feature. Electric or Diesel power. SHREDDERS for high torque low rpm processing of aluminum, copper, cables, UBC, plastics, ferrous, automobiles, engine blocks and more. Interested in increasing the value of your product and your company? Heard any of the below terms before? 5M Recycling LLC receives requests for help with these terms daily. We are specialists in optimal metal recycling technologies, based on Arnold technology and Banos know how, which is well proven worldwide. We offer more than 80 years of experience in the field of metal processing and with more than 1,000 machines and equipment installed by our company – these facts speak for themselves. We are also experienced with plastics, electronics and other fields within the recycling industry. Our various types of equipment are suitable for processing almost all types of materials and wastes: light and heavy metal scrap (ferrous and non-ferrous), MSW (Municipal Solid Waste), industrial and hospital waste, plastic materials (PET, HDPE, film, big-bags in PP and similar, etc), W.E.E.E. (Electronic and electric domestic waste, refrigerators), tires (car and truck), copper waste, plastic and metal tanks, electric and high tension cables, textiles, paper, wood. Our staff is able to solve problems with customized solutions ranging from single machines to a complete plant. 5M Recycling LLC offers a wealth of experience in various recycling fields with constant pursuit for improvement. Our exceptional know-how allows us to work with success and provide you with assistance throughout North America. No task is too small or large. We always perform site visits free of charge to introduce ourselves and to meet you in person. This also allows us to view the allowable space, the product and discuss your needs. Our service specialists take the time to work with you during installations so your in house personnel are aware of basic maintenance requirements and can perform them confidently. We find that 9 out of 10 times, problems can be avoided with proper maintenance and house cleaning. Due diligence will save you time and money both now and in the future. 5M supplies a recommended spare parts list to all of their customers so that they are ready at all times for planned and unplanned circumstances. These components and others can be ordered at any time. We at 5M also offer annual service programs for all of our equipment to help our customers focus on other aspects of their recycling business. Our service team, highly trained 5M personnel are readily available to assist our customers in person, on the phone and via modem directly to the machine if necessary to keep you up and running at all times. At 5M Recycling LLC, we believe that every customer should be treated with the highest level of integrity and respect. We realize our customers operate multiple shifts and for these reasons we do not have non-operating hours, we just do what needs to be done, 7 days a week. 5M Recycling LLC is commited to providing what we believe is the best equipment in the industry for your processing needs. We are recognized as the Director of Sales for North America for ATM Recycling Systems from Austria and the Authorized Sales Team for Banos Equipment from Italy. It is our belief that ATM Recycling Systems and Banos Equipment provide the most advanced and reliable equipment in the industry. Not only do they provide the best equipment, but they care about their customers, they care about their reputation in the industry, and they care about the future. 5M is also committed to providing the best for their customers and has continuously provided equipment and supporting components from ATM and Bano throughout North America. We have installations throughout North America, helping each customer to increase revenue and efficiency within their operations. 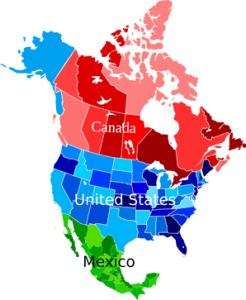 Recycling, Aerospace, Agriculture, Manufacturing and multiple other industries are currently being served in North America. We provide tooling and wear plate services along with spare components to your front door. Many customers request our service specialists to travel onsite to perform, relines, relocation and other services. Many of our customers are open to site visits to see the equipment in operation.